Everyone knows what this pays homage to, giving a local spin to a classic story. Goodnight Rhode Island reminds readers that there are a lot of great things to do in this state, which could lead to day trips when the weather gets nicer. This tells the story of a Rhode Island Red (state bird) and child visiting local tourist attractions. This is similar to Goodnight Rhode Island, though I enjoy this one a little more. Here is an inspirational story about a boy and his friends who help out a young family over the holidays. This can open the door to a discussion about those who are less fortunate and that it’s always good to help those in need. Everyone knows this story, but this is still a book that should be in most homes. The Polar Express is the tale of a magical ride to a magical pole after a boy is swiped from his home on Christmas Eve. The illustrations are beautiful and its effect on popular culture is prevalent (as is pretty much anything that eventually involves Tom Hanks). This book can be packaged with the movie (make a tradition of watching together as a family every year) and some of Van Allsburg’s other books, such as Jumangi and The Stranger. The story of life’s cycle, told through snowflakes, shows that they are always there, in one form or another. There is the underlying theme of dealing with loss, which makes this a story that could be used as a teaching and discussion tool in addition to a bedtime read. The words are simple and thoughtful, and the illustrations really bring the words to life. Kellogg, a RISD graduate, lives in Newtown and was directly affected by the Sandy Hook shooting. Publisher Random House made a donation to the Sandy Hook School Support Fund with the publication of this book. This is the first of a series of adventures for Puma, who is the author’s cat. Where’s Puma focuses on adventures hiding around the house, while other stories have Puma venturing out and exploring Rhode Island (Puma, Lost in Newport, Puma Goes to the Elms, Puma Goes to the Cliff Walk, Puma Sight Sails to the Harbor of Newport, Rhode Island). This interactive e-book tells a story of Cinderella while letting the readers make some choices (25 different ones, to be exact). There are some interesting spins, making this a tale that will definitely appeal to all walks of life. “It doesn’t matter how you look, what matters is who you are,” a quote from the Fairy Godmother, one of the many empowering lines in the story. This is available on the Kindle, iPad, Kobo, Nook and Google Books. The audio book is available on Audible. 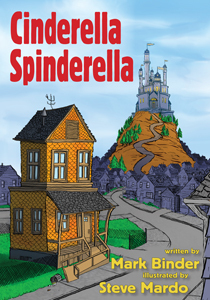 Check out cinderellaspinderella.com for more information. Though he doesn’t live in Rhode Island, Kinney is just over the border in Plainville, MA. He’s also written what’s turned into a map of dealing with the trials and tribulations of middle school. This series has spawned into eight books and three movies, with no signs of slowing down. This is a series that will delight adolescents for a long time to come. This is for the sports fan. While the title explains it all, it’s pretty great to read about the local history and the stars who came up through the system. 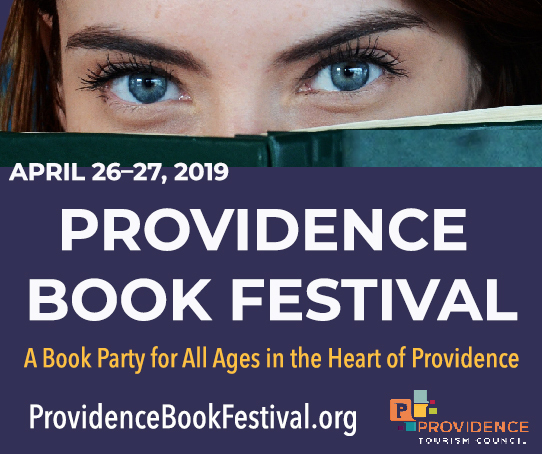 Not for the squeamish or easily frightened, this book explores 23 tragedies that took place in Rhode Island. Extensive research and strong prose help bring back these local long lost tales. Instead of giving the gift of someone else’s words, challenge yourself to write a story for a young person in your life. It can be customized like no other story can, and will truly be a gift that comes from the heart. It may not be the easiest thing to do (I know because my mother requests I write her something every year), but it could truly turn out to be one of the most memorable, thoughtful and meaningful gift you give. Next post: Pippi Appears in Comics!